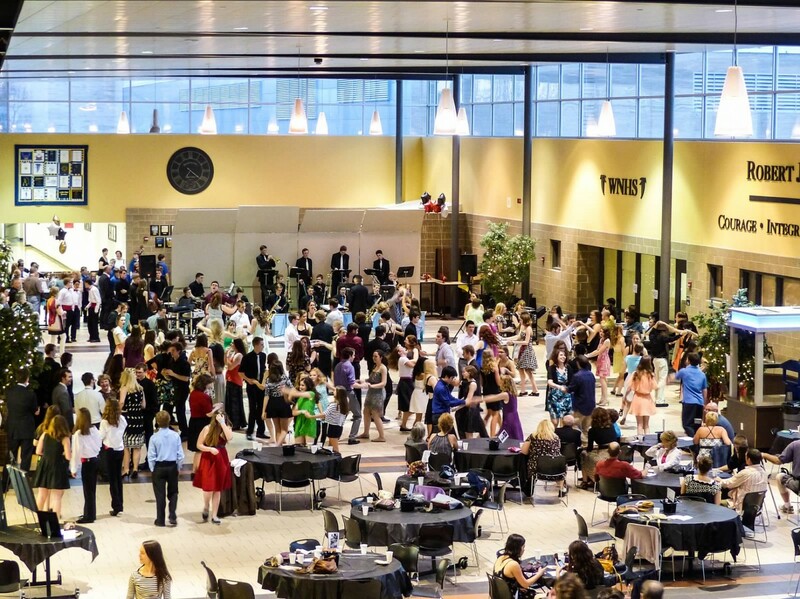 Come on out for a delightfully entertaining evening of music and dancing featuring fabulous live jazz music provided by student musicians. This fundraiser helps support all of the Wheaton North Bands. Live jazz music featuring both WNHS Jazz bands, Franklin and Monroe Middle School Jazz Bands, Refreshments, Silent Auction, Raffle, Lots of Fun! Advance ticket orders with payment must be received by Friday, March 18. Ticket reservations will be available at the reception table when you arrive. Please note that you will not receive a ticket. Please give the receptionist your reservation name when you arrive. Credit and Debit Cards Accepted at the dance for ticket and auction item purchases.